Intellectual Thoughts by Sanjay Panda !!!!! : Why Complicate Life?????? some good thoughts!!!!!! 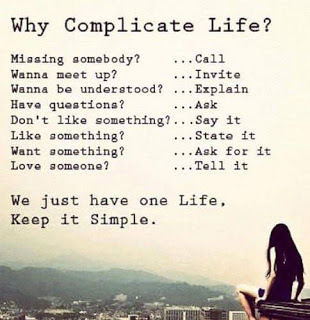 Why Complicate Life?????? some good thoughts!!!!! !